Rabbits and pocket pets such as hamsters, guinea pigs, and ferrets might not require much outdoor exercise, but they still have the potential to get diseases. And, just like pet dogs and cats, your rabbit and pocket pet needs ongoing veterinary care, balanced nutrition, human interaction, and appropriate management of his/her environment. 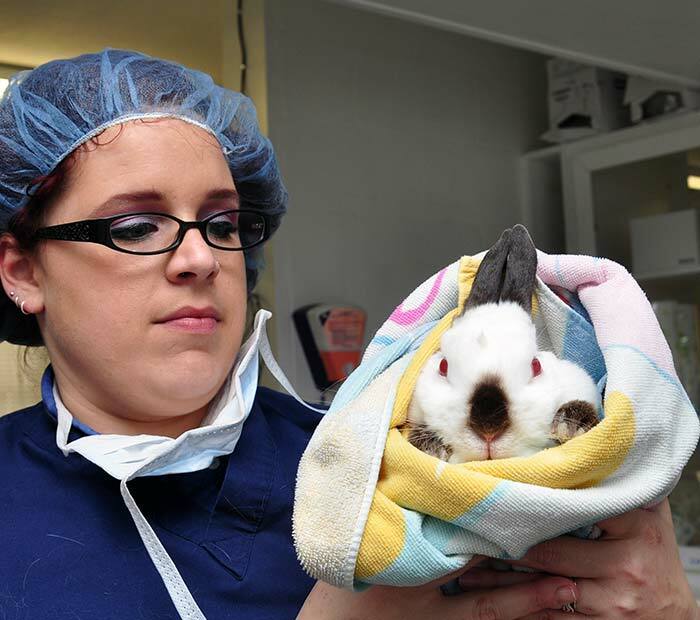 Rabbits and pocket pets need to be seen annually for a wellness exam. It is best not to wait until a pet is showing signs of illness for their first exam. An annual exam gives us the opportunity to ensure that your pet is healthy and have baseline records and baseline blood values for future reference in the event that your pet is ever sick. Depending upon the type of pet, we will discuss vaccination options with you. An annual exam gives you one-on-one time with us so we can answer all of your health and behavior questions. This is an easy procedure that can be done in-office without anesthesia. Microchipping is the safest option for permanent identification. For more information about microchipping your pet, please view the microchipping page under “general services”. We Would Love to Meet Your New Pet! If you have acquired a new rabbit or pocket pet, we recommend you have your new pet examined by us within 1-2 weeks after purchase to ensure their good health. We will discuss nutrition and behavior issues with you at your first appointment. Even a couple of months on the wrong diet can kill or permanently damage a rabbit or pocket pet.